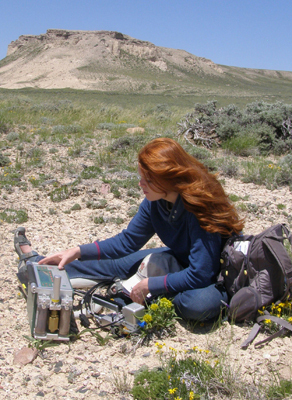 Wyoming ecologists study plants at levels ranging from organismal studies of ecophysiology and ecological genomics to integrated vegetation studies at regional to global scales. The University has strengths in plant biology situated in the Departments of Botany, Renewable Resources, and Plant Sciences, with plant biologists also in other departments. The Rocky Mountain Herbarium and the Wyoming Natural Diversity Database (WYNDD) provide additional resources for research in plant ecology.